NEW YORK, NY, May 22, 2012—HLN launches a new destination for news and information with Evening Express, hosted by Ryan Smith, beginning Monday, June 4. This new addition to HLN’s schedule will air weeknights, 5-7 p.m. ET, and feature HLN’s popular personal finance expert Clark Howard, and CNN’s Isha Sesay, it was announced by Scot Safon, Executive Vice President and General Manager, HLN. Evening Express will be based at the network’s global headquarters in Atlanta. Evening Express will provide an energetic, inspirational and solutions-oriented look at the day’s news, accompanied by deeper discussions and reporting on stories and issues that resonate in the American household, including parenting, education, health, personal finance and relationships. Evening Express will also have a deep a social footprint, engaging with viewers and users on all platforms. In tandem with its June 4 launch, the show’s digital extensions will include Facebook (Facebook.com/EveningExpressHLN), Twitter (@EveningExp) and a dedicated blog on HLN’s recently launched web site, HLNtv.com (HLNtv.com/EveningExpress) that will feature distinctive angles on the stories of the day. 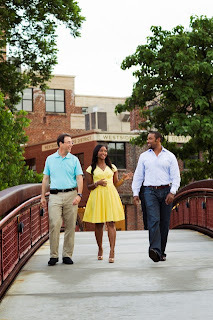 Evening Express hosts can also be followed at @ryansmithtv, @IshaSesayCNN and @ClarkHoward. Smith, a familiar HLN on-air presence in 2011 as a result of his reporting during the Casey Anthony and Conrad Murray trials, was a member of the Morning Express team and host of programming during InSession on truTV. A sports and entertainment lawyer with a degree from Columbia Law School, Smith covers a wide variety of news stories and has a personal interest in health and wellness issues. Howard is one of HLN’s most popular personalities, with a wildly successful nationally syndicated radio program and personal finance website in addition to his regular appearances on HLN weekends and Morning Express with Robin Meade. In 2011, his book, “Clark Howard’s Living Large in Lean Times,” spent 21 weeks on The New York Times Best Seller list, his third to make that list. With the launch of Evening Express, the personal finance guru will now bring his expert advice to viewers later in the day, answering specific consumer questions and providing information that is applicable and actionable to a wide spectrum of the audience. Sesay is well known to CNN audiences for her work as an anchor for CNN International, hosting the daily news program CNN NewsCenter and weekly program BackStory, and serving as the nightly “360 Bulletin” correspondent on Anderson Cooper 360°. In addition, she files reports for African Voices and Inside Africa, CNN International’s award-winning, weekly program dedicated to providing viewers with an inside look of Africa.On HLN’s Evening Express, she will bring her strong reporting skills and a point of view informed by her experience covering news stories from across the globe. CNN veteran Angie Massie is the Executive Producer of Evening Express. Katherine Green is Senior Vice President and Managing Editor, HLN. Steve Rosenberg is Director of Dayside Programming, HLN. HLN is the national television network that focuses on the “must-see, must-share” stories of the day. Drawing upon the network’s deep bench of talent, including Robin Meade, Jane Velez-Mitchell, Nancy Grace, and Dr. Drew Pinsky, HLN dissects and demystifies the news stories and newsmakers people are talking about. HLNtv.com, the network’s new digital platform, is the online destination for users to go deeper into the top stories driving the conversation and generating the national buzz. HLN is a CNN Worldwide network reaching more than 100 million households in the U.S. CNN Worldwide, a division of Turner Broadcasting System, Inc., a Time Warner Company, is the most trusted source for news and information.